Polyurethane wheels changed the world of skateboarding in the 70’s. Incorporating this notable trend into this iconic design produces a true fusion of both eras. 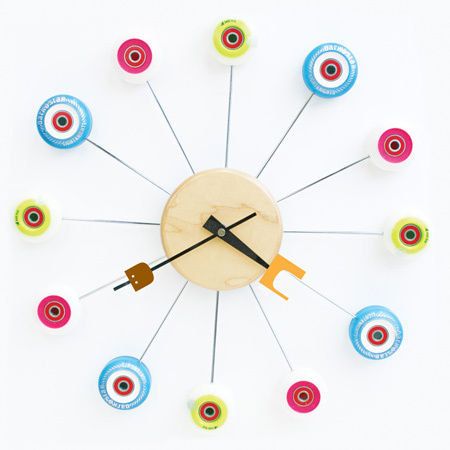 The Astro Clock created with 12 skateboard wheels and bearings. Diameter: 17", 1.5” Depth. Available in maple or color with branded deck option. Wheels color based on availability.